Cingular Wireless has signed an agreement with Nortel Networks for GSM and GPRS infrastructure upgrades of its USA and Puerto Rico networks. According to the terms of an estimated USD $500 million agreement signed in late November 2001, Nortel Networks will continue to support Cingular's expansion needs in its GSM networks in North Carolina, South Carolina, coastal Georgia and eastern Tennessee for 36 months . With the introduction of Adaptive Multi-Rate (AMR) Vo-coders in terminals and network infrastructure, Cingular Wireless aims to increase spectral efficiency by an additional 200%. Cingular estimates this technology will considerably reduce previously estimated capital expenses for new radio equipment, as well as associated operational expenditures. The company did not provide details on how much those savings would be. The contract also includes a TDMA-to-GSM upgrade for the Cingular network in Puerto Rico which is anticipated to result in the first complete TDMA-to-GSM conversion in the Cingular Wireless network. 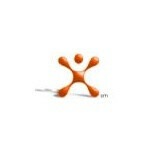 Cingular Wireless plans to begin offering commercial GSM services in Puerto Rico in Q2 of 2002.